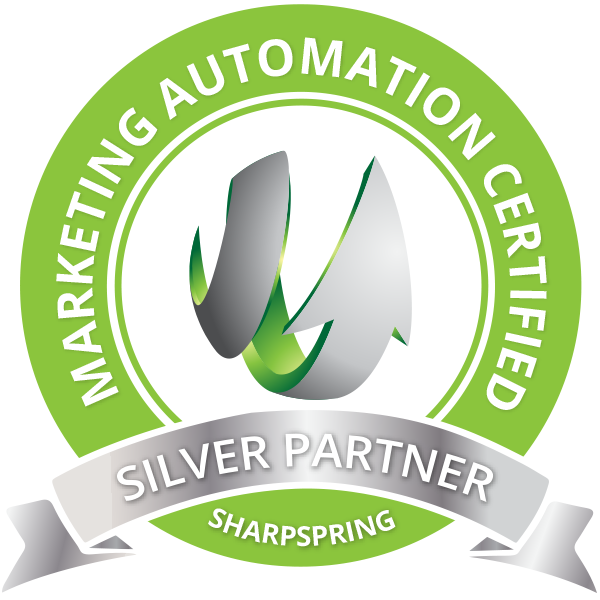 Symbolscape is proud to be a SharpSpring Agency Partner. We believe that content marketing is a fruitless endeavor without a robust marketing automation solution in place. Your marketing automation platform—your MAP—tracks your website visitor behavior across your site and can record information about how your users are using other marketing channels, such as email and social media. This application will serve as the company’s digital business intelligence gathering system. We use marketing automation to turn anonymous visitors into known leads, deliver personalized content to our subscribers, identify and qualify leads by segment, and deploy messaging campaigns that nurture our audiences across social media and email. With marketing automation, all of these campaigns are managed and synchronized from once central dashboard. Because it is such an important part of content marketing operations, having a marketing automation system in place is a critical piece of any meaningful content strategy. We strongly prefer to work with clients who are in the market to integrate a MAP or already have one in place. This is an essential way we prove our value as content marketers. In addition to SharpSpring, Symbolscape offers expertise in Marketo and Hubspot integration. We offer MAP setup and configuration, mapping the CRM database to the MAP, and building out a custom marketing automation operations strategy based on your unique customer profiles.